They threw dust on their heads and cried out, weeping and wailing, and saying, ‘Alas, alas, that great city, in which all who had ships on the sea became rich by her wealth! For in one hour she is made desolate.’ Rejoice over her, O heaven, and you holy apostles and prophets, for God has avenged you on her! On May 23, 1785, Benjamin Franklin wrote a letter to his friend and London merchant, George Whatley, on the nature of the members of Congress who represent the people of the newly formed government of the United States. They are of the People, and return again to mix with the People, having no more durable preeminence than the different Grains of Sand in an Hourglass. Such an Assembly cannot easily become dangerous to Liberty. They are the Servants of the People, sent together to do the People’s Business, and promote the public Welfare; their Powers must be sufficient, or their Duties cannot be performed. They have no profitable Appointments, but a mere Payment of daily Wages, such as are scarcely equivalent to their Expences; so that, having no Chance for great Places, and enormous Salaries or Pensions, as in some Countries, there is no triguing or bribing for Elections. Old Ben was hopeful, but over two centuries hence; human nature has overtaken American politics. No longer are the majority that are elected to Congress appear to be serving the people that elected them, but rather serving their own interests and whatever will get them re-elected. They no longer seem to be conducting the “people’s business” but rather their own business. And as far as having “no profitable appointments, but a mere payment of daily wages”, it seems that almost everyone in Congress is there for self-enrichment. 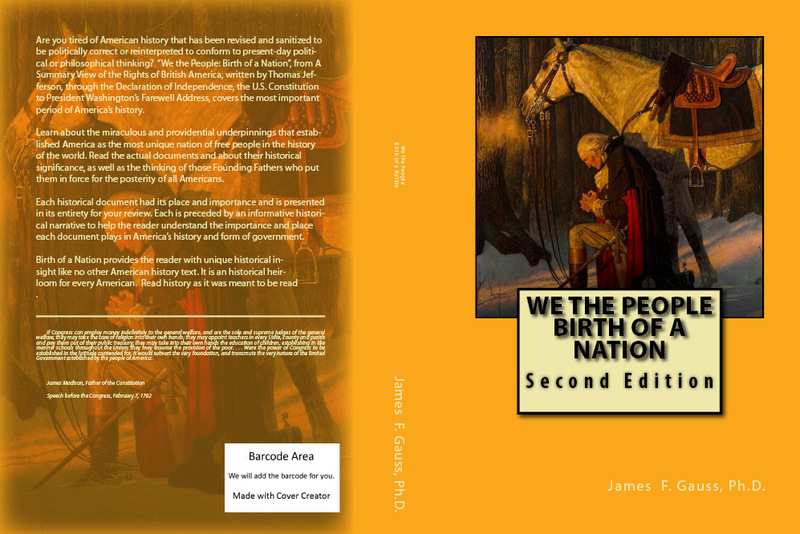 Franklin envisioned or assumed that those who were elected to Congress would be statesmen and patriots, there for only one thing, to serve their fellow countrymen and not to enrich themselves with “enormous salaries or pensions”. The concept of a “limited government” as envisioned by the Founding Fathers and addressed in the U.S. Constitution (particularly in the 10th Amendment and in Articles I, II and III), has been transformed and exploded into an unlimited government, without restraints, that controls every aspect of the life of the citizen. There are so many criminal and tax laws on the books that not even the Library of Congress (the federal government depository) can say how many there are that affect life in America. In 2012 alone, an estimated 40,000 new state laws went into effect across the country. America was once a bastion of freedom, equality, military might and economic independence, but has declined into an “also-ran” among the world’s nations. Samuel Adams had it right when he wrote a letter to James Warren, President of the Massachusetts Provincial Congress on November 4, 1775. “No people will tamely surrender their Liberties, nor can any be easily subdued, when knowledge is diffused and Virtue is preserved. On the Contrary, when People are universally ignorant, and debauched in their Manners, they will sink under their own weight without the Aid of foreign Invaders.” The American populous has been so “dumped-down” over the last several decades about their constitutional heritage that virtually no one less than 40 years of age can tell you what the Bill of Rights says or what privileges it offers American citizens. The more ignorant the population becomes the more susceptible it becomes to tyranny and oppression from within. Perilous Times and Perilous Men. Indeed, Americans are living in perilous times among perilous leaders that many people feel are taking the country down a detrimental path of no return. “But know this,” the Apostle Paul wrote to Timothy, “that in the last days perilous times will come: For men will be lovers of themselves, lovers of money, boasters, proud, blasphemers, disobedient to parents, unthankful, unholy, unloving, unforgiving, slanderers, without self-control, brutal, despisers of good, traitors, headstrong, haughty, lovers of pleasure rather than lovers of God, having a form of godliness but denying its power. And from such people turn away!” (2 Timothy 3:1-5). America, some feel, has been in decline—spiritually, economically, morally and militarily—for quite some time. The country has needed strong, patriotic, constitutional leadership for decades and when it appeared that things could get no worse, the people saw fit to elect and re-elect one of the most incompetent, self-aggrandizing and deceptive leaders in the country’s history. As the spirituality and morals of a nation deteriorate, the people tend to elect the leaders they deserve. Those who are devoid of God-fearing morals, elect the same. The vast majority of Americans either do not have a clue as to what is happening in America or are complicit members of this advance guard of radical socialism. If Americans had been listening closely to Senator Barack Obama’s Berlin, Germany speech on July 24, 2008, perhaps they would have heard beyond their euphoric expectations of the first U.S. president of color and discovered a truly frightening man and his socialistic ideologies. They would have recognized that Obama’s true dream and goal was not for a better, stronger America, but a weaker, globalized United States of America that would fit more into his anti-colonialist theology. At the time of his worldwide campaign tour in 2008, many globalists abroad were cheering him on, not because he was black, but because of his socialistic, globalist, One World government philosophy. The world saw Obama as a man who believes that America must be weakened and subdued and that he was the person willing to subvert America’s greatness and sovereignty to the United Nations and the rest of the world. In Obama’s A World that Stands as One speech on July 24, 2008 in Berlin, Germany, he stated that, “The walls between the countries with the most and those with the least cannot stand. The walls between races and tribes, natives and immigrants, Christian and Muslim and Jew cannot stand.” On the surface this sounds good, but when one understands Obama’s mindset, it really means that he is against American sovereignty; against American “exceptionalism”. He sees America as just a domineering, colonial power that must be put in its place. With that perspective in mind, digest some of his words that day. Barack Hussein Obama, as presidential candidate in Berlin or as President in the Whitehouse has no interest or intent on restoring America’s greatness on any level. He is out to see that America is humbled and consigned to the ash heap of all great civilizations. However, he is not alone. Many of his predecessors laid fertile ground upon which he could easily build. The Purging of the U.S. Military. To accomplish his goal of a weaker America, Obama has been stealthily decimating the U.S. Military. With the complicit liberal mainstream media standing idly by and succeeding in keeping the public ignorant of the subversiveness of their president, Obama has been systematically dismantling the finest military force in the world. In just his first term in office he has modified the military’s “Rules of Engagement” to the extent that it has put more U.S. soldiers at risk and elevated the U.S. military casualties in Iraq and Afghanistan. The 12-year war in Afghanistan, alone, has resulted in 2,290 U.S. military deaths and 19,464 wounded (source: Dept. of Defense, November 6, 2013). Of those casualties, 630, or 27 percent, were killed during George W. Bush’s tenure as President and the remaining 73 percent under Obama’s presidency. Of the 19,464 soldiers wounded in Afghanistan, 85 percent have occurred during Obama’s five years in office. Military leaders in the field in Iraq and Afghanistan have constantly complained that their hands are being tied in an effort to carry out an effective military campaign in both countries. Obama has further weakened the military by authorizing women to serve in combat positions; rescinding “Don’t Ask, Don’t Tell”, thus allowing homosexuals to freely practice their lifestyle while serving in the military. He has down played the fight against Islamic terrorism, trying to placate the Muslims of the world and create a politically correct military view of Islam that waters down the true threat to America. In reality, Obama has created a U.S. military after his own beliefs that coddles, sanctifies and promotes his ideals and his voting constituency—the minorities, women, homosexuals and Muslim service personnel. Perhaps as a result of changing military policies (or maybe not related at all), suicide among America’s military personnel is escalating. In 2012, 524 U.S. servicemen and women committed suicide, the highest number on record. Of these, 352 were active duty members; 172 inactive. The suicide rate among military veterans is rising rapidly and greatly exceeds that of the general population. The Veterans Administration estimates that 18 veterans per day commit suicide on average, or 1 in 5 U.S. suicides. “To be honest, we don’t know how many veterans are dying by suicide,” commented Jan Kemp, who heads the Veteran Administration’s suicide prevention program. In any case, it is a sad commentary on the state of America’s military. After surviving the horrors of combat, some of America’s finest die at their own hands. However, the most despicable act of America’s Commander-in-Chief is his outright war against America’s military leaders. Since he took office early in 2009, Obama has purged all four branches of the U.S. military of 197 (last count) prime military leaders, many in key positions of military defense. Why? Because, in the majority of cases, they disagreed with him. Such a rampant elimination of military leaders by an American Commander-in-Chief is unprecedented in all of American military history. It has become so bad, that along with Obama’s military funding cuts, the U.S. Army Chief of Staff, General Ray Odierno revealed in late October, 2013, that the U.S. Army only had two brigades that he would consider combat ready. That is a total of 6,000 to 10,000 troops. Gen. Odierno noted that, due to the sequester budget cuts, the . . . [For more information, read Revelation 18 and the fate of America.